It's that time again! This is the May pattern for my "Pattern a Month" challenge. Note: Bonnet is worked from the front (face) edge, with simple shaping and increases to create the "Pixie" point at the back of the hat. Row 2-5: 2ch [to count as 1htr (hdc) through out pattern], 1tr (dc) in each st to end. Row 8: 2ch, 1tr (dc) in each of next 22 sts, 2tr (dc) in each of next 2 sts, 1tr (dc) in each st to end. (50sts). Row 10: 2ch, 1tr (dc) in each of next 24 sts, 2tr (dc) in each of next 2 sts, 1tr (dc) in each st to end. (54sts). Next you will join the back seam, which is the working edge, of your bonnet. This is done by folding your bonnet in half (bringing the end of the row to the beginning of the row) and working a sl st into the back loop only of both sides all the way along the back seam, now turn your hat in the other way so that the sl st seam will be on the inside of the hat. Fasten off. 4 ch. 11tr into 4th ch from hook, join with sl st in ch #4 at the beginning of your disc. Ch 55, join with sl st to front corner or chin of your bonnet. Make another tie the same, joining it to the other side of your bonnet using a sl st.
Weave in ends & you're finished! Very very sweet! A little pixie baby! Great idea for a gift! I'm a real stickler for babies wearing hats - maybe that's because I like knitting and crocheting???! I figured it out! The other pictures on Ravelry were very helpful. You said stitch up the back seam and I didn't realize which seam that was (I'm new at this). I assumed the "working edge" was the left/right sides of the rectangle. I'll try it again next time a new baby shows up in my life. Thanks again! 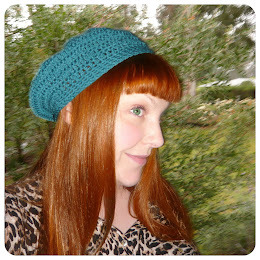 I've been looking for the perfect pixie bonnet pattern for a certain sparkly yarn I have. Thanks for a wonderful pattern. I don't have time to make many, but would you mind if I sold one or two of the finished products at an upcoming craft fair? The fair benefits our local chapter of MOPS (Mothers of Preschoolers). 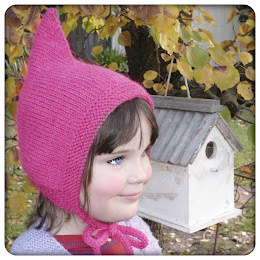 I love this pattern and have made several of these hats for my friends children and my own daughter. I was wondering if you would mind if I sold a few finished ones to my colleagues at work? 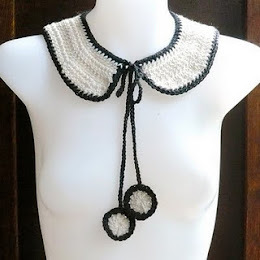 I crochet all of the time and am looking to support my yarn habit, lol. Hi Shara! I love this hat! I've made a couple for a baby shower gift and a larger one for my 2yo daughter, so cute! Would you mind if I sold these? Thanks! 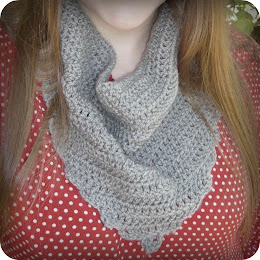 Hello Allison, Thank you for your lovely comment :-) I'm glad you're enjoying using the pattern! I'm happy for you to sell the hats you make using this pattern to friends or in an online store such as Etsy, or at craft fairs/markets. If you're selling them online, please be sure to include a note in the item description stating where the pattern is from. I realise it's a bit tricky to label things as such when you're selling them at fairs/markets etc, so there no need to do it in that situation :-) Thank you very much for taking the time to write and ask!! Thank you for sharing this pattern! I love how simple it is! Is it ok for me to sell some of my finished products? For every hat I sell I make one or two preemie & newborn hats for the NICU babies at our local hospital. I love this hat! I'm a new hairdresser and its slow here, so I crochet items and sell them at a local shop. Would it be OK if I sell the ones I make? I put tags on everything I make to give the author of the pattern credit, so I'll put your name and whatever else you would like me to put on it if its OK with you. Hello Emily :-) I'm glad you're enjoying the pattern. Yes, I'm happy for you to still the hats you make from this pattern in your local shop :-) Thank you for taking the time to write and ask! Hi, I love this pattern (and so many of your others!) and have made it for the little ones but I've had lots of the older kids and even friends and family members asking for ones for themselves - do you have any advice on how the pattern could be enlarged to teen/adult size? Great pattern! I made this in a matter of an hour for my good friend's baby. I'm going to do a blog on it and link back to your pattern. So, so adorable, very clear, very easy. Thanks for this! Hi Shara! I'm back again. Since making one of these for my friend's baby, I've had two other friends ask if they could pay me to make one each for their sisters who are pregnant. I don't have a shop or anything, I just crochet for friends & for fun. Would that be okay with you? Thanks for your reply! Hello Michelle :-) I'm really happy that you & your friends are enjoying the pattern :-) I'm happy for you to make some hats for your friends to buy :-) And I really appreciate you taking the time to write & ask :-) Have a wonderful weekend! 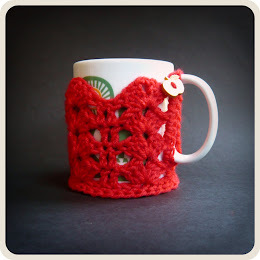 Hi Shara, I love love love your pattern! I made a few variations on it, which I put on my blog (in dutch). I also made a link to your post. 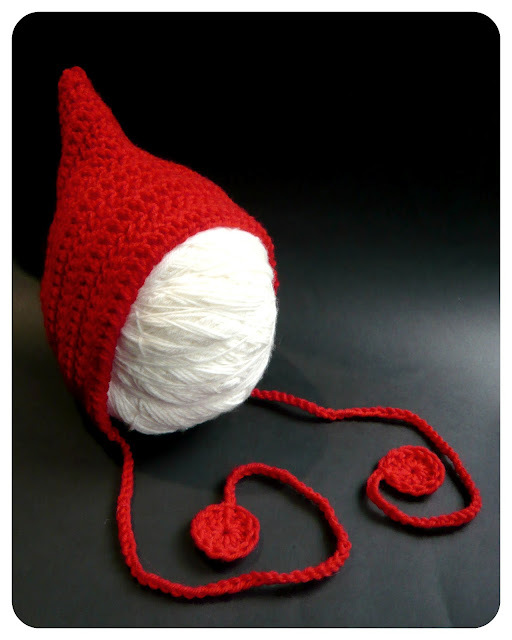 http://icrochetstuff.blogspot.nl/2013/03/roodkapjes-muts.html (use Google translate). Are you ok with this? Oh wow shara its beautiful. Do you have a pattern for adult sized? Hello Shara! Thank you for sharing such a terrific pattern! I love finding patterns that are well written and work up just the way they are suppose to (I have found many that don't!). I also really appreciate you taking the time to include the US terms inside the pattern, it makes it so much easier to keep track while working (I tend to get "in the zone" and just do what's written, and forget the change in terms). I was wondering if you would allow me to post photos and potentially sell my finished product on my online store (with credit given of course). Thank you so much for your consideration! 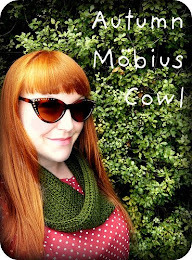 Hello Tabitha :-) I'm glad that you're enjoying the pattern and I really appreciate your feedback! I've been looking for an easy bonnet pattern for a while now and this one was super easy and it's just adorable. I have an etsy shop that I recently opened up and would love to be able to sell the finished bonnet there and have a link to your blog or ravelry page at the bottom to give credit. Also wondering if it would be okay to send a few to a photographer to use as her props when she shoots newborns. If not, I completely understand. Still a beautiful hat! Hi there. 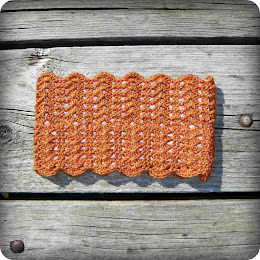 When working rows 2-5, do you miss the first treble/dc or do you stitch into it? The bit about creating the hdc is confusing me a bit. Thank you for creating this beautiful pattern!! I currently make baby blankets for a support group specializing in loss of children/ babies. I was wondering if you'd give me permission to sell the hats giving you full credit for the pattern. To help off set the cost of the yarn I use to make these blankets. If not, that's ok too. Please continue to create these fabulous patterns!! Hello Monique :-) I'm glad you like the pattern and that you want to use it for such an important cause :-) I'm happy for you to sell that hats you make using this pattern. All I ask is that if you sell them via any online venue (Etsy, eBay, Craftsy, Facebook, etc) that you add a quick note to the item description saying where the pattern is from. I realise it's a little difficult to label items as such when you're selling at a market or fair, so there's no need to do it in these circumstances :-) Thank you for taking the time to write and ask, I really appreciate it :-) Keep up the great work! I really love this bonnet, it's so sweet. I would like to make one in a size 3-6mths,do you have a pattern for this size? Hello! Thanks so much for sharing this pattern, I love it! I'm new to your blog and am really enjoying it, I'm planning to try a couple of your other patterns too! Thanks again! Love the pattern, just made the first one fory daughter. Would you mind if I sold a couple I'm my shop? I'll be sure to include where the pattern came from. Thanks in advance! Cute bonnet! I just finished one & paired it up with some booties for a Christmas set & would like to post them on our on-line store, giving you the pattern credit of course. Thank you for such a lovely pattern! Could I sell the finished bonnets on etsy please? Hi, first off, I love your pattern... I made one for a friend, who also loved it!! 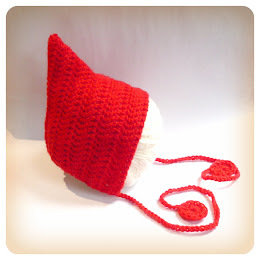 I've recently starting selling some things I make & have been asked about this hat! It would only be through my Facebook page!! Would that be okay? Hello Fluff Girl, thank you for your lovely message :-) I'm glad you're enjoying the pattern :-) I'm happy for you to sell the hats you make using this pattern on your Facebook page, just put a quick note in the item description letting people know where the pattern is from :-) Thank you! Thank you I will try :) She has a small head 47 cm in circumference. What a lovely bonnet!! It's too cute!! Also you are very generous letting people to sell them. I may be mistaken, as your pattern seems very popular and nobody has commented anything about it, but I think there is a mistake in row 7. Shouldn't it be 1tr in each of next 22 sts instead of 21? If we have 46 sts in row 6, then it should be 22+22+2 (the ones with the increases)=46. right? I have been asked to make some hats as props for a photographer, this pattern is perfect, i usually design my own crochet patterns but I'm a bit all hatted out at the moment and no matter what I do I just can't get mine to go right. Yours is perfect.m Pretty please.... May i have permission to sell the finished hat. I probably won't make anymore than 6 and I would love to sing your praises as the designer. Thanks Shara, when i get my finger out i'll get my facebook and etsy shop up and running. At present its just private sales. I'm more than happy to promote your patterns. I love them. Thank you so much for this incredibly easy and fun pattern! Would it be okay if I sell a few of these on my little etsy shop? I will add a link to your blog on it. My son loves this hat. He is actually sitting next to me right now chewing on the strands! I will get a cute pic and post the link to it a little later on! Hopefully you can see this! Awwwwww, Jessica that picture is SO sweet!!! Thank you so much for sharing it :-) In happy for yountonsell the hats you make using this pattern in your Etsy shop :-) Just put it little note in the item description letting people know where the pattern is from :-) Have a wonderful weekend! may I sell any hats I make? And do you think it may be too big the measurements I got were 17cm for the point, 15cm for the front and 14cm deep (across)? Love how easy this pattern is! I made one with a thinner yarn so it ended up smaller then I thought it should be but I know how to fix that :). Would it be OK to sell these once I get the sizing down? Thank you for your awesome pattern! I was also asked by a photographer to make your pixie hat. She just loves the long point. Would it be okay with you if I sell the finished product that I make using your pattern? I also have an Etsy shop and if I do end up selling it there, I'd be happy to post a link back to your site. Thank you so much for your kind consideration. 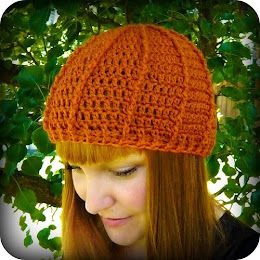 Hello Karen :-) Thank you for taking the time to write and ask :-) I'm happy for you to sell the hats you make using this pattern. All I ask is that if you decide to sell them in an online venue such as Etsy, eBay, Facebook, etc, that you add a note to the item description letting people know where the pattern is from :-) Enjoy! Hi! Love this pixie hat! I was wondering if you would give me permission to sell completed items I have made using your pattern. Thank you. 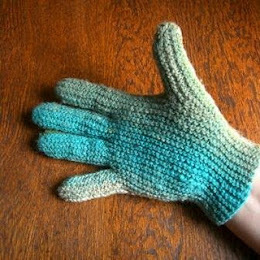 Hi Shara, thanks for the pattern! Mine didnt turn out so pointy at the top for some reason, but otherwise good. Did you ever end up making patterns for bigger sizes? Or do you have any ideas of how I would go about adjusting the pattern to make for kids and adults? Hi, what a fab pattern! I've just made it for a friend who is due next week, I think she'll love it! Would it be ok to make another one for my etsy shop? Obviously I'll credit the pattern back to yourself and thanks again for a great hat pattern. Hello Rachel 😊 I'm glad you're enjoying the pattern :-) I'm happy for you to sell the little hats you make using this pattern in your Etsy shop, just put a quick note in the item description letting people know where the pattern is from :-) Thank you for taking the time to write and ask permission, I really appreciate it :-) Have a lovely day! Hello Cheryl :-) Thank you for your message, sorry for my slow reply! I'm happy for you to sell the items you make from my patterns to your friends, at crafts fairs, Christmas bazaar etc :-) All I ask is that if you decide to sell them online as well, that you add a quick note to the item description letting people know where the pattern is from. Thank you for taking the time to write and ask permission, I really appreciate it! Hello Shara, lovely bonnet.Thank you for taking the time to make these patterns. May I please sell some at local craft fairs? Hello Amanda :-) I'm glad you're enjoying my patterns :-) I'm happy for you to sell the items you make from my patterns to your friends, family, at craft fairs/markets and online. :-) All I ask is that if you decide to sell them online as well, that you add a quick note to the item description letting people know where the pattern is from. Thank you for taking the time to write and ask permission, I really appreciate it! Adorable!! Thank you for sharing, I can't wait to get started. Great little bonnet, worked up really nicely! I'll be making a bigger one for my now 4 month old! 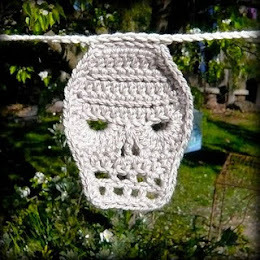 I'm thinking of selling some of my crochet as well and would like to add these to my inventory. Would that be ok? I will provide you with pattern credit and a link when appropriate! Thanks for the pattern either way! Hello Kara, thank you for taking the time to write and ask permission, Inreally appreciate that :-) I'm happy for younto sell the bonnets you make using this pattern, just add a quick note to the item description letting people know where it is from :-) Have a wonderful day! This is my new fave hat pattern and I've just had a go at sizing it up for a friend's little boy... will let you know how it worked out! 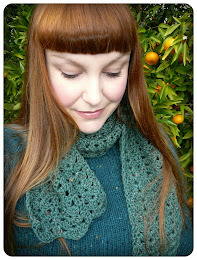 Hi Shara, what a great pattern and so easy to follow along with. Would you mind if I sold some of the bonnets I have made in my Etsy shop linking back to your pattern. 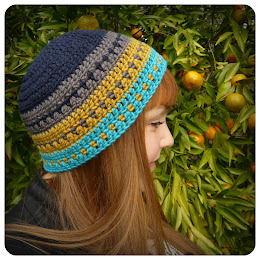 Hello Emma :-) I'm happy for you to sell the hats you make from this pattern. All I ask is that if you sell them online (Facebook, Etsy, Ebay, etc) that you add a quick note to the item description letting people know where the pattern is from :-) Thank you for taking the time to write and ask permission, i really appreciate it :-) Have a wonderful day! Hi Shara, I love this pixie hat so much that I wanted to ask you if it would be ok if I sold the finished items in my Etsy shop ? Also just wanted to say that I love all your designs - very user friendly ! Great pattern! It's very well written and easy to follow. May I have permission to sell finished items from your patterns in my Etsy shop if I give credit to you? Your blog is great! Thank you so much! You will be given credit. Have a wonderful day! I am so so happy I was shown this pattern! It is so perfect and adorable! I made one for my little guy and I swear no one can stop gushing at him in it. :D I Will be having my first craft table this year at our local plant store and I was curious if a could make a few to have available to sell there. I totally understand if not, but just thought it couldn't hurt to ask! Thanx so much for creating such a cute pattern, all my little ones will be wearing them when they come along! ;) Take care and thank you for your time! Hello Jenna, thank you for your lovel message :-) It's always so nice to hear that people are enjoying this pattern (it's still one of my favourites) :-) I'm really happy for you to sell the hats you make from this pattern at your stall. I hope it's really successful :-) Thank you for taking the time to write and ask, I really appreciate it! I noticed on a few "tc" didn't have (dc) following. Does this mean I need to use a "tr" in US terminology or do I need to use a "dc"? This is adorable! May I have your permission to make this pattern to sell at a craft fair? Thank you for sharing such an adorable idea! Hello! 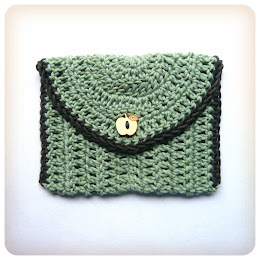 This is really cute and so glad I've come across an Aussie pattern and not have to measure evety row! Would you mind if i sold a couple of these privately in orders I've recieved. Ty so much for your time! 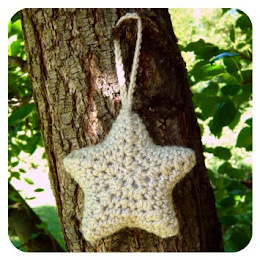 Hello Shara, thank you for sharing this adorable pattern! I have fallen in love with it and was wondering if I could have your permission to sell these? I run a farmer's market booth and also sell some items through a friend's gift shop. I'll make sure to post your pattern on my Facebook page! Thank you. Hi I just made my first one today...so cutE and quick and easy. I made it in a self striping yarn and I used joined dc and joined hdc (US terms) to close the gaps between stitches and make it warmer. It turned out great. Thank you for sharing this pattern.